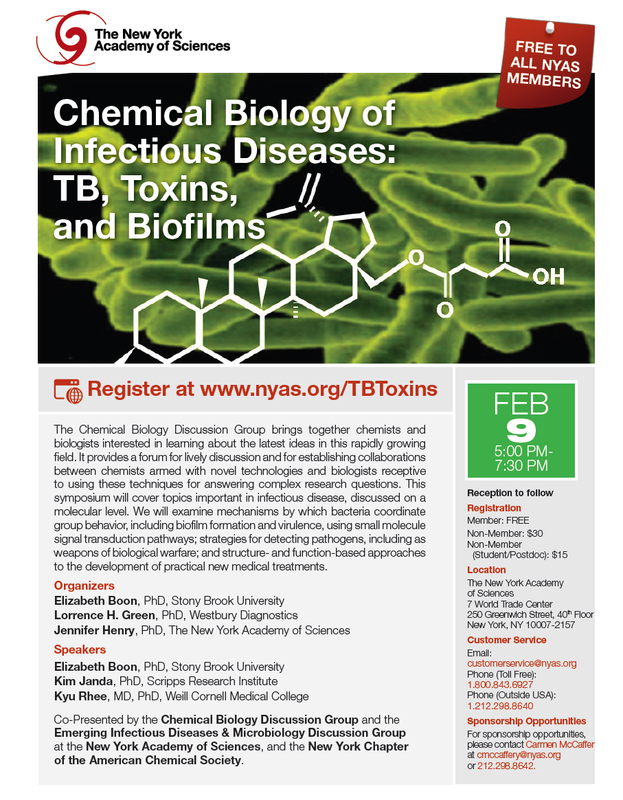 Lorrence Green, President of Westbury Diagnostics has organized Chemical Biology of Infectious Diseases:TB, Toxins,and Biofilms, a conference on February 9, 2012 in conjunction with the New York Academy of Sciences. Speakers will include: Elizabeth Boon, PhD of Stony Brook University, Kim Janda, PhD of the Scripps Research Institute, and Kyu Rhee, MD, PhD of the WeilCornell Medical College. Networking reception to follow.